fa-bri-k'/ n. Short for Fabrique. Factory in French. We help you unlock growth in the digital space. Have you ever wondered what a beacon looks like? I have and I have seen a few. They are small enough they can sit in the palm of your hand, be stuck to a wall inside a store or inside an outdoor panel at a bus shelter without anyone noticing. They first came to the world’s attention 12 months ago with the launch of Apple’s iBeacons in the US. This launch was closely followed by another defining milestone: the Regent Street project in the UK, a first of its kind now in full swing. Soon after, as I was talking to two outdoor media owners, they were telling me about their plans to bring the technology to the Australian market – both understandably racing to be the first in market given its huge potential for highly-targeted mobile marketing. Plenty has been written since on how the technology works and its marketing possibilities. For my part, I am genuinely excited about its many benefits. Yet there are some drawbacks to be mindful of also. What do you need for the technology to work? What are the marketing applications? Is beacon marketing for every consumer and every brand? As a marketer, why should consider investing into beacon marketing? And what key considerations do you need to be mindful of? Happy reading! And as always, I welcome your thoughts, in particular any insights gained from first-hand experience or best-in-class case studies you may have come across. As a brand – you need a native smartphone app programmed to react to one or more beacons. As a consumer – a Bluetooth-enabled smartphone, with a beacon-enabled brand app installed on it. Push notifications and location detection must also be activated on the app. Assuming these conditions are met, as soon as one of your app users/customers is within range of your beacon(s), they will get tracked and a personalized message triggered and displayed on their mobile screen in the form of a notification, CTA or an event. The possibilities are endless. Their quality and effectiveness however are largely dependent on the sophistication of your data-driven marketing capabilities and their level of integration with your mobile ecosystem. Two of the most advanced examples I’ve come across are the Regent Street and Slyde Beacon-enabled shopping apps. Key functionality typically includes the ability to identify a customer nearby and offer them customized promotions as they walk past a store, automatically check them into said store upon entry, mobile redemption of e-coupons and in the case of Slyde a touchless payment experience. On a hot summer day, as you walk past an outdoor poster you may get prompted to redeem a discount on a can of Coke in a nearby Woolies, conveniently located within meters of the panel. Another example, as you return in-store, and get near an aisle that carries your favourite brand of cereals, the store may invite you through its app to redeem a promo on that very product to incentivize repeat purchase. It may not be on your shopping list that day, but when prompted (or even better, reminded that you might be soon out of stock) you may decide to be tempted. These are just some of many possible retail applications, and the more customer data is leveraged at the individual level (e.g. product preferences, frequency of product purchase, average basket spend etc. ), the more relevant and effective the message. Beacons may also be used in other physical environments (e.g. airport lounges, museums, cinemas, at home etc.) and to offer any number of value-add services on-site, not just retail offers. 77% of Australians over 13 are now smartphone users (source: The Digital Australia: State of the Nation 2014 report). And with Bluetooth adoption on the rise, it’s safe to say we are looking at a large audience across age groups. Within that pool however, phone usage varies greatly. From your teenage daughter to your mum and your grandad, digital literacy and mobile user behaviours (e.g. what they use their phone for, where and when, frequency etc.) aren’t quite the same and so bound to impact on receptivity levels to your mobile marketing. Critically also, mobile phones are our most personal digital devices. Hence how and when you choose to intrude on this very private space (once you are granted access) will make or break your relationship pretty much. So to answer our question, all mobile consumers can benefit from it as long as you make time to know them – and know them well – and engage accordingly. In terms of which categories are likely to benefit the most from beacons, retailers are by far at the top of the list – from your local grocer’s to your favourite fashion retailer or department store to name a few. But not just. I would also argue that any brand with a loyal following, a solid mobile presence and data integration strategy stands to benefit from it. As a marketer, why should you consider investing into beacon marketing? #1 – Beacons make it possible to deliver personalised mobile communications at the right time and at the right place to the right person – based on the customer’s location at its most basic, on their purchase history and shopping preferences also (when the latter are known) at its best. #2 – They are a source of valuable customer data and insights: user data is collected at every interaction (such as store visits, dwell time, conversions); that data may in turn be used to build a meaningful and mutually rewarding relationship. #3 – For bricks-and-mortar shops, beacons are simply a great way to drive footfall whilst allowing them also to compete with online retailers on delivering a personalised user experience offline. What do you need to be mindful of? #1 – Your opt-in acquisition strategy and ability to deliver on your customer value proposition are both critical. For this type of marketing to be successful, you need to maximise opt-ins within your mobile user base. This requires you to think long and hard about the benefits and rewards you are going to offer in return for opting in to receive your beacon-enabled communications. Those benefits and rewards (including their level of personalisation) must be of real value to the user for them to accept to trade off their privacy. And then, you actually must deliver on your promise. Failing that they won’t let you in in the first instance, or you will risk losing them and generating negative WOM. #2 – The more integrated your CRM and data capabilities, the more effective your beacon marketing. At its simplest, beacon marketing doesn’t require a fully integrated multi-channel CRM and data strategy. Tactical use cases can be as simple as driving in-store purchases on a seasonal product (e.g. sunscreen or ice cream on a hot day) amongst app users browsing nearby. To realize its full potential however, it requires the ability to identify app users as individuals, with their online and offline interactions, purchase history and shopping preferences reconciled and accessed in real time for an optimal personalisation of the experience. The reality is that most marketers are yet to achieve that single customer view and it may take a few years before they do. With this in mind, a staged approach towards achieving an integrated customer profile is most likely the best avenue, with a CRM and technology roadmap clearly setting out your capability improvement goals over a period of time. #3 – Beware of the lack of legislation about what you can and cannot do. The lack of legislation governing the use of beacon technology in Australia was flagged to me recently as a potential risk by an industry peer, and I have to agree. On one hand, the absence of a legal framework is liberating for marketers – Amazon knows this too well as it picked an unregulated market, India, for the launch of its drone deliveries. On the other hand, the lack of regulations may lead to an unbridled use of the beacon technology, which could antagonize consumers with marketers intruding excessively with their user experience. So until such a time when we have guidelines in place, common sense must prevail. Put yourself in the consumer’s shoes. Think: what would you think or do if you were to receive that message at that time and place? Focus groups, customer surveys and other forms of consumer research should help validate your approach also. When their application is carefully researched and planned, with the personalisation (hence the relevancy) of the message maximised, beacons can take your relationship marketing to another level. Fact. They can be an effective way of driving sales but also building loyalty and WOM amongst your existing customer base through the messaging of timely contextual value adds. If misused however, they could lose you loyal customers faster than you think. That is a fact also. 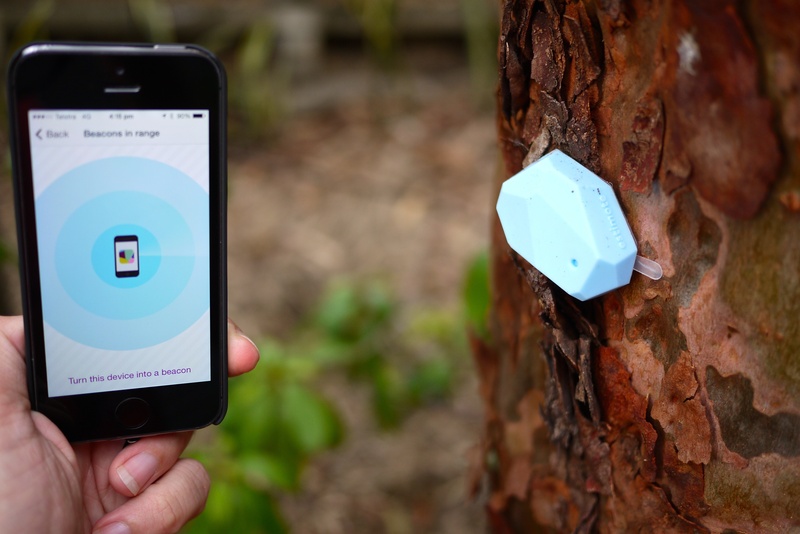 Have you started using beacons for your clients or own marketing purposes? Don’t be shy, let us know of your wins and learnings also. A life with robots? Closer than we think. With NY’s Day and Chinese NY celebrations now behind us, it’s that time of the year again. Time to look ahead and re-appraise the technologies likely to change our lives – f o r e v e r.
I am talking about pretty radical and unexpected uses of technologies here. Those that make us sit up and take notice amongst the zillion of tech news we get bombarded with every day. Is there anything that can’t be connected these days? The Internet of Things will continue to gain new and surprising grounds – no surprise there. Technology research firm Gartner predicts that the IoT will grow to 26 bn units in 2020, up from .9bn in 2009. In no time, we have gone from connected wristbands and rings through smart cars, eyewear and fridges to rackets and T-shirts to name a few. This is bound to accelerate over the next 12 months, and with it the rise of wearables that are there to help us… disconnect – like fashion staple MEMI. 3D printing is breaking into new and more serious territories. 3D printing has found its true calling, and I am glad to say it is not about printing plastic guns, phone cases or toys at home. It has much bigger fish to fry. The technology is increasingly being put to industrial and scientific uses, from printing houses and organs to key aircraft engine components and complex parts for healthcare. Famously, General Electric has been tapping into the collective mind of innovators and entrepreneurs alike all over the world to great success, inviting them to submit their designs through its 3D Printing Design and Production Contests. All entries are carefully reviewed and the best ones implemented. Digital OOH is becoming more intelligent and more effective as a result. Outdoor has been enjoying a revival lately, something close to a rebirth thanks to digital OOH, which is getting more sophisticated and effective by the day. This state-of-the-art digital OOH network launched last November in Manchester, UK. Here is to hoping that it becomes the standard in 12 to 18 months from now. Dynamic Shape Displays are making headways and shaping the future of video conferencing amongst other useful applications. These displays came to my attention only recently when I read about MIT’s new Dynamic Shape Display inFORM. inFORM lets you interact remotely with objects on the other side of the screen. This means that remote participants in a video conference are able to interact physically at a distance. It can also interact with the physical world around it e.g. moving objects on the table’s surface. MIT are exploring a number of application domains, including but not limited to 3D modelling and design (interestingly as an alternative to 3D printing), architectural models and urban planning, and medical imaging CT scans. So one to watch in my opinion. Robots will be part of our future – Honda got it many years ago. In 2006, its advertising featured Asimo, then the world’s most advanced humanoid robot or so we were told. The robot hasn’t lost its WOW factor to this day and even has its own website for all die-hard fans amongst us out there. The car manufacturer has ever since been using all sorts of other cute robots to promote its vision. In 2013, we learnt that the top 3 tech giants were busy investing heavily in robotics – Amazon in its Prime Air drone service (with CEO Bezos, the ever optimist, predicting it could be operational as early as 2017), Apple in factory robots and Google in, er, lifelike walking machines (unclear what it intends to do with these as yet). And hot off the press is the bionic hand – a little bit creepier, yet very real and a substantial scientific win. … And with Robots will come Anti-Robots. Anti-robot Prosthesis looks pretty mean at first and until you realize that it is actually entirely human-controlled. So harmless really and certainly not a threat to the human race. The idea behind anti-robots is that their aim is to give us ‘super powers’ as opposed to making us redundant. Phew! So a good thing all in all. Content marketing: how do Aussies compare with POM’s? e-commerce: what’s in store for 2015? Like what you've read? Enter your email address to follow this blog and receive notifications of new posts by email.